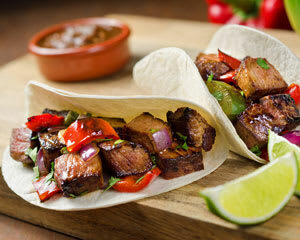 Put a little Fiesta into your next BBQ with our Mexican class. Say Ole’ with this fabulous menu which includes a Margarita on arrival and will teach you a range of delicious BBQ Mexican favourites! The Chefs will discuss BBQ cooking and cover all the important methodology around temperatures and resting meats to ensure that you will really impress when you next entertain at home. We then get straight in to demonstrating the first tapas dish where you will replicate the dish demonstrated by the Chef and prepare and cook the dish yourself. We sit down together as group to share in the first dish before embarking on the next Mexican dishes covering all parts of BBQ myths and secrets as well as a demonstration before being given the tongs and lifters to re-create your recipes yourself. We will send you home knowing that you’re a qualified BBQ Mexican expert and will be crowned in glory by friends and family when you entertain at home – Mexican style.